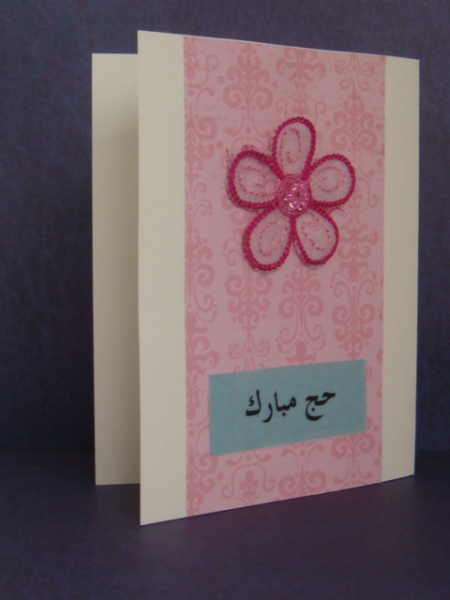 Celebrate the Hajj or pilgrimage to Mecca by giving this handmade Hajj greeting card to someone special. 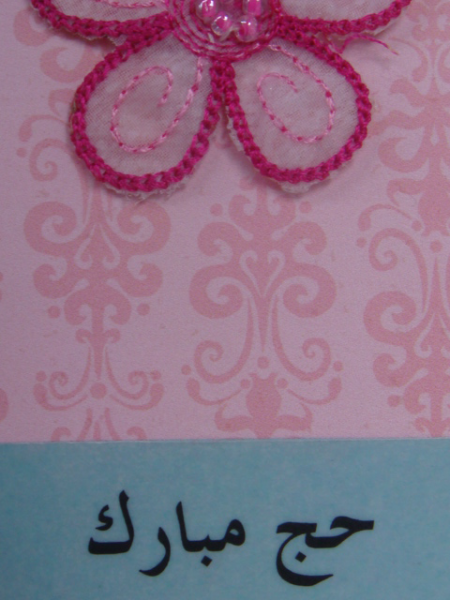 Hajj is one of the pillars of Islam and is to be performed by every Muslim once in their life. 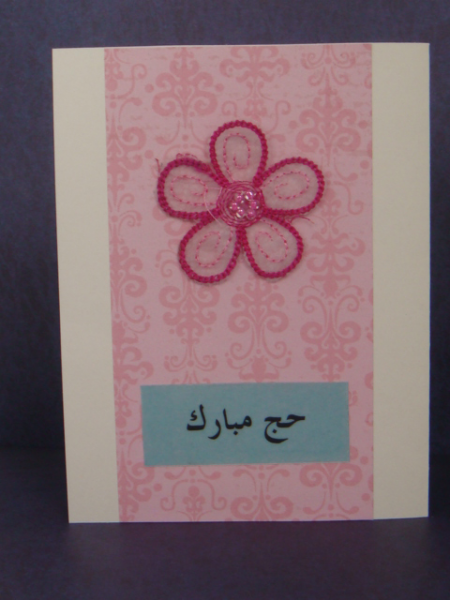 Card says Hajj Mubarak in Arabic. 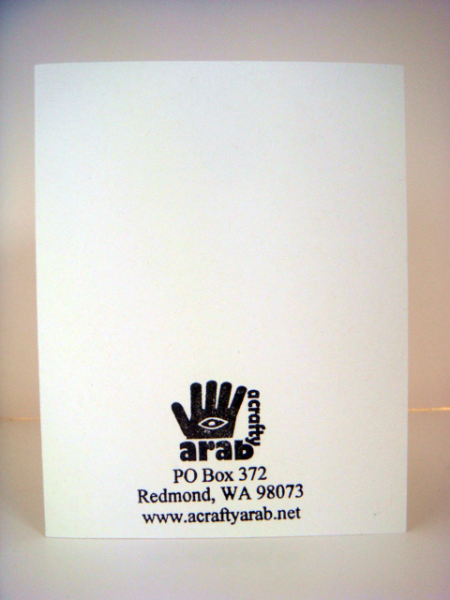 It is on beige cardstock and comes with a beige envelope in a protective plastic sleeve.